Drop weight more efficiently by adopting these unconventional habits. There’s a good chance your goals are to burn fat and build a lean physique. And most guys know the basic ways to approach that: Make sure you work out regularly, get your heart pumping, and eat clean to maximize your fat burn. But weight-loss strategies don’t stop there. These five nutrition tips might sound strange, but there’s evidence they can improve your overall health en route to a better physique. Scroll through the gallery to check ’em out. A healthy gut indicates an efficient metabolism; therefore, eating foods that are high in probiotics will keep your digestive system functioning properly, as well as boost your immune system and reduce inflammation. To get a daily dose of probiotics, eat pickled foods like sauerkraut. 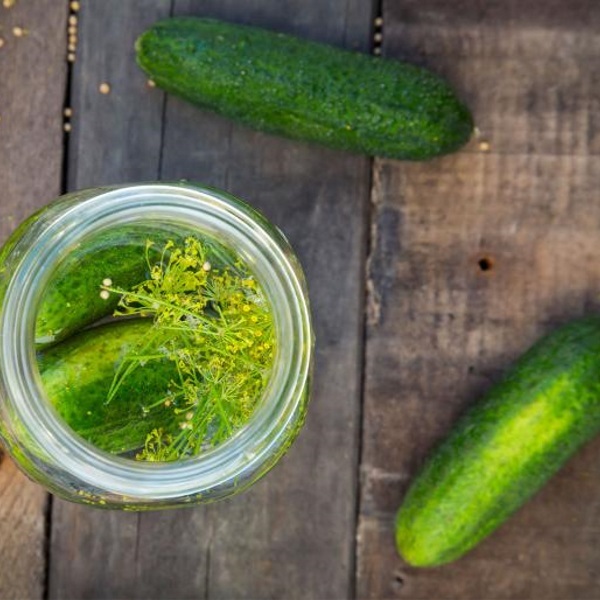 Try adding sauerkraut and pickles (from salt, not vinegar) to your diet a few days per week. If pickled foods aren’t your thing, you can try fermented foods like kimchi, or foods that contain active cultures, like yogurt. Eating more food to lose more fat might sound counter-intuitive, and it’s true that losing overall weight depends on a net calorie deficit. But a lot of guys run into another problem: If you restrict your diet too much, your metabolism will slows down, making the weight loss journey more difficult. So how do you solve this problem? Eat more protein. It’s critical for building muscle, and gaining more muscle will keep your metabolism high and allow your body to burn fat more efficiently. A few easy ways to add more protein into your diet is by eating a protein-rich breakfast, and to invest in a good whey protein powder. Tart cherry juice is not only delicious, but also great for heart health and digestive health. Furthermore, studies suggest that tart cherry juice can help improve muscle recovery and sleep quality—a key factor for maintaining muscle growth, since your body repairs muscle while you’re sleeping. Try drinking a cold glass of tart cherry juice before bed to speed recovery and reduce inflammation. Coffee is a great pre-workout energy booster with plenty of health benefits, but people often ruin the healthful effects by loading up their morning (or afternoon, or evening) cuppa joe with junk like creamer, sugar, or artificial sweeteners. Here’s a better idea: Grab cinnamon. Studies show that cinnamon has antihyperglycemic properties, which means it can help regulate blood sugar levels—a key to staying healthy and losing weight. Taking more time to eat can help you consume fewer calories. So if your nutrition program calls for a decrease in total calories, try eating meals more slowly. Besides eating fewer calories overall, eating slower can help you digest your food better and potentially absorb more nutrients from the food you eat.